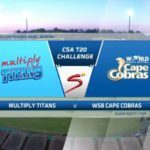 The Titans secured a dominant bonus-point victory over the Cobras in their CSA T20 Challenge encounter in Benoni after brilliant performances from Gregory Mahlokwana and Henry Davids. 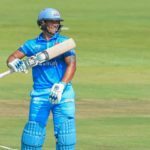 A measured half-century by Henry Davids laid the platform for the Titans to claim their first win of the CSA T20 Challenge season with a seven-wicket bonus-point win over the Cape Cobras in Benoni on Wednesday. The uncapped Donovan Ferreira has been named in the Titans squad for Wednesday’s CSA T20 Challenge fixture against the Cape Cobras at Willowmoore Park in Benoni. 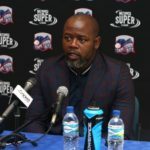 Chief executive officer Thabang Moroe has reiterated the importance of the Mzansi Super League for Cricket South Africa’s commercial strategy. 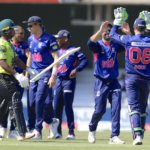 Aiden Markram’s third century of the campaign and a complete team bowling performance saw the Titans claim the One-Day Cup title by 135 runs at SuperSport Park on Sunday. KHALID MOHIDIN reports. 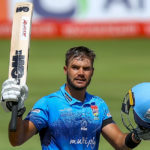 Aiden Markram showed his big-match temperament by smashing his third century of the One-Day Cup campaign to help the Titans post 356-5 in the final against the Dolphins at SuperSport Park. KHALID MOHIDIN reports. 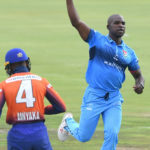 The Titans and the Dolphins will contest the One-Day Cup final at SuperSport Park on Sunday with both sides looking to claim their first silverware of the season. 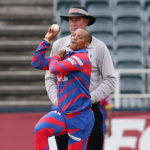 Fast bowler Junior Dala and batsman Farhaan Behardien starred as the Titans completed a relatively comfortable victory over the Cape Cobras in Wednesday’s One-Day Cup semi-final at SuperSport Park in Centurion. 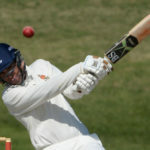 The Lions kept themselves in the hunt for a play-off place after two superb death overs by Malusi Siboto and Wiaan Mulder held the Titans at bay, following a thrilling run-chase and a sparkling 111 by Jonathan Vandiar in their One-Day Cup clash in Benoni on Thursday. 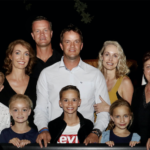 Former Proteas all-rounder Albie Morkel was the guest of honour at a dinner held at Emperors Palace’s Aurelia’s Restaurant on Sunday evening. 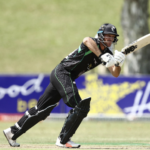 The Knights got off the mark with their first win of the One-Day Cup series, while the Titans racked up their sixth win from eight matches on Friday night. 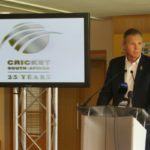 The Dolphins welcome the high-riding Titans to Kingsmead on Friday, seeking just one more win from their last four One-Day Cup matches to secure their semi-final spot. 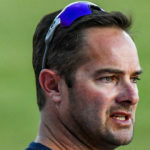 Mark Boucher expressed his joy at Aiden Markram’s recall to the Proteas squad for the remaining two ODI’s against Sri Lanka, but the former Proteas star admitted that his form will be missed in the Titans’ One-Day Cup fixture on Wednesday. 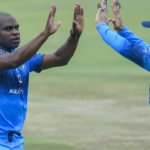 Outrageous hitting by Aiden Markram and Junior Dala helped the Titans claim a spectacular two-wicket DLS victory over the top-of-the-table Warriors in their latest One-Day Cup clash in Benoni on Friday. 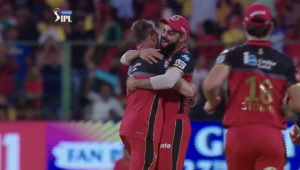 Dale Steyn and Virat Kohli relive their similar celebrations from 2009 and 2019. Watch Colin Ingram’s marvelous relay effort to dismiss Chris Gayle in the IPL.